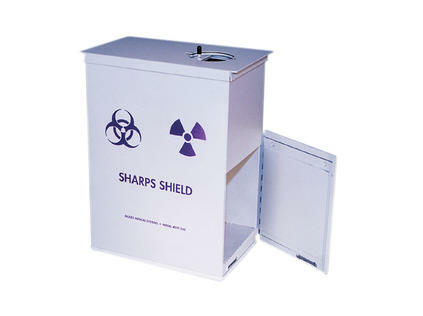 Transfer the full Sharps Container to the Decay Module for syringe decay storage. 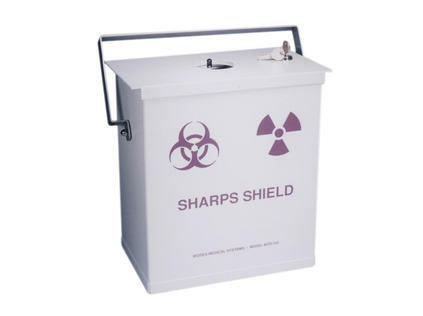 Sharps Container Shields are a simple, safe and convenient way to dispose of used syringes that may contain low-energy gamma radiation residue. 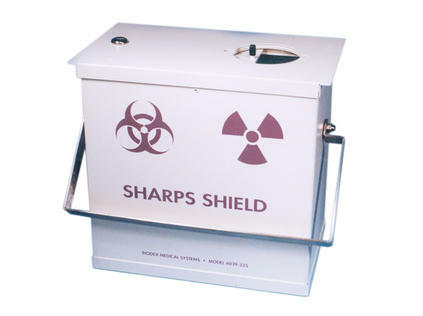 The shields are constructed of steel, lined with .125" lead. 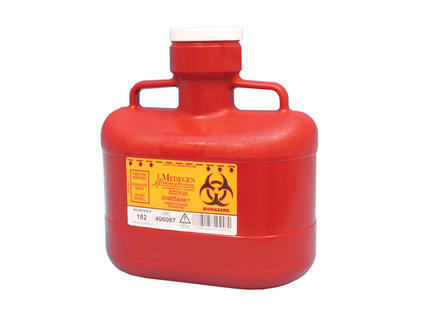 They feature a top with sliding port and a swing handle that allows easy transport. 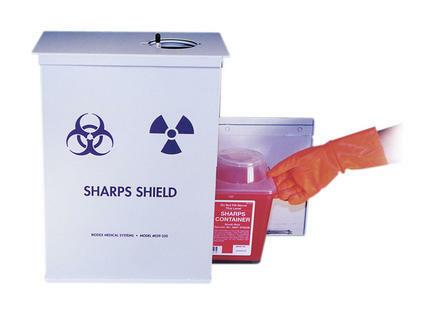 Model 039-335 accommodates Sharpstainer* Sharps Containers. 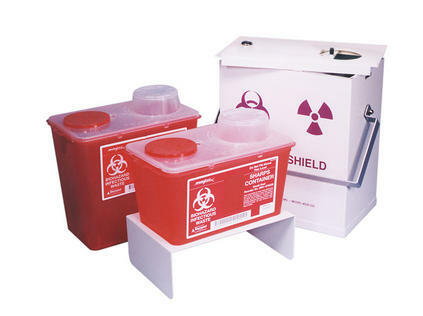 Model 039-350 accommodates two small Monoject Sharps Containers simultaneously for decay rotation.